Do you have an iPhone or an Android phone in your pocket? Perhaps an iPad or Android notepad in arm’s reach? If not, how about a current laptop or desktop computer with a broadband internet connection? I know there are a few of you that still have a basic cell phone and have never owned a computer. This article is about moving your bookkeeping away from piles of paper to a progressive way of keeping track of your business. How is your business doing? Are you current with your bookkeeping? Can you monitor your business’s financial data on a day to day basis to help you make management decisions? Is your bookkeeping system working for you? What if you could utilize current technology to streamline your sales invoicing, bill payment and bookkeeping processes to provide you with the management data you need to make informed decisions on a daily basis? Interested? Two ingredients are needed: first, the right mix of technological applications and, second, collaboration with a leading-edge professional accounting firm. Success comes from mixing the right technology with the right professional expertise. Too many times I have seen business owners purchase desktop accounting software and then direct a family member or untrained staff person into the bookkeeping process to figure it out. Most of time the bills get paid and the sales invoices are sent out, but the rest of the accounting functions are ignored, including reconciliations of cash and credit card accounts. Financial data is incomplete and financial statements are inaccurate. The answer to age-old bookkeeping woes is “Work in the Cloud!” Why? In the cloud you can collaborate with your accountant and work in the bookkeeping application at the same time from each of your offices. The business owner can still create sales invoices and pay the bills, and the accountant can setup up the proper chart of accounts, coach the business owner in properly using the accounting application and then the accounting firm can clean up the books on a periodic basis. Coaching can be done over a video call without wasting time driving to one another’s offices and the cost for the entire service can be less than hiring a bookkeeper. The foundation of the technology application mix we recommend for businesses is QuickBooks Online. 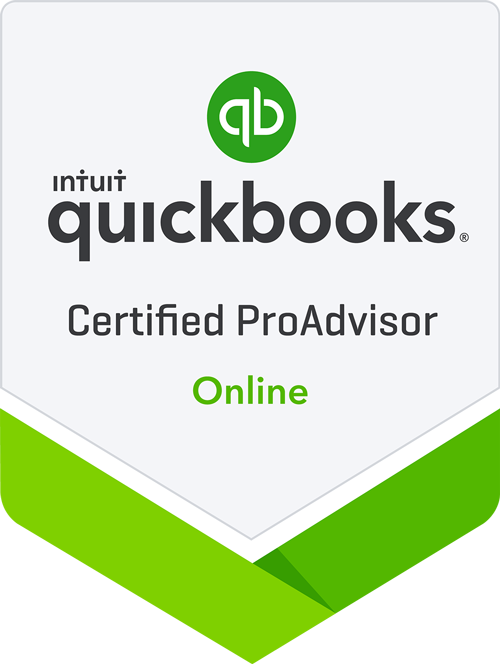 There are many applications that it works with and, as a QuickBooks ProAdvisor, our firm can offer it at wholesale pricing to our clients. Other applications that could be used are Receipt Bank, Bill.com, Fathom, etc. Each application has an app that can be placed on your smartphone.